A range of generators in the market has made it difficult to purchase one to suit the buyer’s needs. It is thus essential to do proper research and be aware of the wattage available for operating the generator. Planning ahead for any crisis is a prudent decision. There might be a chance of power failure due to some unforeseen circumstances. This could lead to requirement of emergency power which could be obtainable through generators. There are wide varieties of Perkins generators Dubai available in the market. The best way to purchase a generator is to begin your search online. 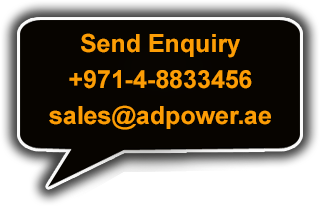 You will find several generator dealers service dealers from Dubai. The Internet, without a hesitation has made receiving discounts on everything as simple as giving chocolate to a baby. Prior to making your search, you will want to figure out how much quantity of backup power is required by you. This is done by a simple manner known as generator sizing. It is important to compute the mandatory wattage that will be essential to run all the machines and other appliances in your house. There are numerous things to contemplate like the dishwasher, lighting, fridge and so on. All these appliances will have precise consumption of power and it’s important that the right wattage is figured out as when generators become too much burdened they can overheat and be damaged. There are mainly two types of generators that you can find in the market. Portable generators are one of the finest outcomes of current technology. Gone are the days when the generators had to be heavy and large packages that was almost impossible to move around without some seriously heavy lifting at your end. The other type is the standby generators. These are set up near the home and are generally wired to a transfer switch. It needs to be then linked to an apt fuel line. This selection will be expensive and will necessitate expert installation, but once fitted the everyday use and access to the power is really easy. Besides that distinction, there are also the gasoline and diesel generators; though propane or natural gas generators are available as well. Perkins generators dealers in Dubai will explain you all the nitty-gritties regarding the generator before you decide to buy one. This will help you to make an informed decision.